The papers will look at the far right, Islamism, the far left and online extremism. They will inform a first-of-its-kind study on extremism which will be released later this year. The independent Commission for Countering Extremism has today (Tuesday 9 April) announced the leading academics it has commissioned to write research papers on the far right, Islamism, far left and online extremism for its study into all forms of extremism. The commission, announced by the Prime Minister after the terror attacks of 2017, has selected 29 academics and experts with a wide range of expertise, from extremism to community cohesion, to write 19 papers on different aspects of extremism after a competitive bidding process. These papers will start to provide in-depth academic insights into extremism, as well as feed into the commission’s study into all forms of extremism, released later this year. The topics include the influence of social media on extremism on and offline; the extent to which far right and Islamist ideologies have entered mainstream public and political life and explorations of the links between extremism and terrorism through the lens of UK-based Islamist and far right groups, Al-Muhajiroun and National Action. One paper will explore the tactics and objectives of the far left and their acceptance among the public, while 3 others will critique current approaches to countering extremism. Two papers will examine how to change extremists’ attitudes and behaviours, while 3 others will provide the latest insight on how extremists are influenced by their external environment. A further 2 will map the spectrum of far right and Islamist world-views and groups, from those close to public and political life to those at the most violent fringe. The papers are part of the commission’s evidence-gathering for a first-of-its-kind study into the scale of extremism in our country. 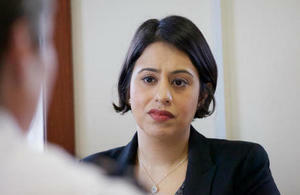 Lead Commissioner Sara Khan will present the study to the Home Secretary with recommendations later this year. The organisation has carried out polling, reviewed academic literature on extremism and set out the 5 themes – its terms of reference - that it will consider for its forthcoming study. These are the public’s understanding of extremism; the scale of extremism; extremists’ objectives and tactics; the harms caused by extremism and the current response to extremism. As part of its evidence-gathering for the study, the commission is also reviewing government data on indicators of extremism, conducting a survey on public perceptions of extremism and speaking to individuals and communities with first-hand experience of the harms of extremism. In the wake of the terrorist attacks of 2017, I was asked by the previous Home Secretary to provide the government with impartial, external advice on the tools, policies and approaches needed to tackle extremism. Since that time, the threat from extremism has grown – both in our country and across the world. We cannot be under any illusion – we are living in an era of extremism and growing intolerance. In every one of the towns and cities I have visited, I have heard concerns about the changing face and increasing prominence of extremism online, the far right and Islamist extremism. This is having a devastating impact on individuals, communities and our wider society. Countering extremism is a crucially important issue that requires serious and credible research to guide policymakers. The wide range of views put forward by these academic papers will be a vital element of our study on all forms of extremism in our country. They will provide in-depth academic insight that will complement the data and information we are collecting from thousands of individuals and organisations on the ground. Extremism is complex and there are many as yet unanswered questions about the scale of it and the best approach to tackling it, but my commission’s study will start to set out what we can - and must - do as a country to stand up against those who seek to divide us. The full list of papers is below. For data collection purposes, 2 papers will be included in the list below at a later date. A paper mapping the spectrum of far right worldviews and groups, from those close to mainstream public and political life to the most violent fringe. A paper exploring how and to what extent the far right has entered mainstream public and political life. A paper exploring the links between extremism and terrorism through a deep dive into the UK’s first proscribed far right group, National Action. A paper mapping the spectrum of Islamist worldviews and groups, from those close to mainstream public and political life to the most violent fringe. Two papers exploring how and to what extent Islamists have entered mainstream public and political life. By Dr Damon Lee Perry, independent academic and author, publications include The Global Muslim Brotherhood in Britain: Non-Violent Islamism and the Battle of Ideas (Routledge 2019). A paper exploring the links between extremism and terrorism through a deep dive into the first UK-based proscribed Islamist group, Al-Muhajiroun. One paper exploring the tactics and objectives of the far left and their acceptance among the public. Three papers exploring how and to what extent extremism is influenced by external environmental factors. One paper exploring how social media affects extremism online and offline. Three papers exploring current and alternative approaches to countering extremism. Two papers examining past and present methods and techniques to change attitudes and behaviours that may be applicable to counter extremism.